Why Is an Investigation Assumed to Be Pure? RUSH: This has been a bugaboo of mine for I can’t tell you how long. The headline of the story: “GOP Senator: Trump Has No Right to Influence an Investigation.” This is from TheHill.com. “Sen. John Kennedy (R-LA) said [last night] that he has not seen evidence that President Trump has tried to interfere in the federal Russia probe while emphasizing that the president would be out of line if he tried to influence the investigation. “‘None of us have the right, including the president, to influence an investigation and try to tell the FBI and the Justice Department how the results should be of an investigation,'” how they should be looked at. “‘I don’t see any evidence that the president has done that,'” but he still can’t. Now, can somebody explain to me something? Why is an investigation off-limits? Why is an investigation always automatically assumed to be pure as the wind-driven snow? 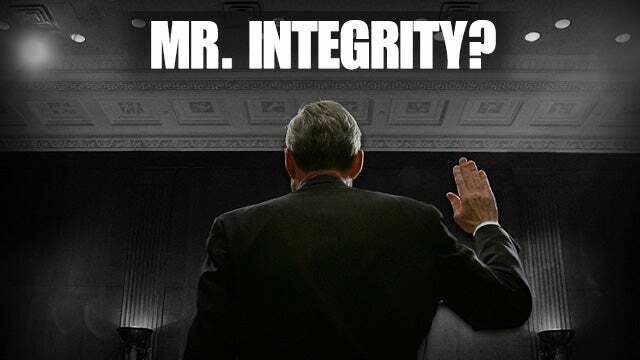 Why is an investigation never corrupt? Why the hell can you not question an investigation? Why do investigators come off demanding and expecting no scrutiny? This is something that has always baffled me. I don’t care whether it’s a local sheriff, the local cop, or the FBI. Once a, quote-unquote, “investigation” starts, it’s hands off, and you can’t be seen trying to influence. Where can the hell not? Who the hell are they? Do you think they are nonpartisan? Do you think they have no interest in the outcome? Do not make me puke! There isn’t pure objectivity anywhere. There is bias everywhere. The idea that “the investigation” — whatever “the investigation” is — is unassailable, is sacrosanct, you don’t dare question it. Says who? When did this start? Folks, try being the target of one and see what you think. Try being the subject of one and see what you think then. “You’d better not tamper with the investigation!” What if the investigation is designed to railroad him out of office? Is he not permitted to discover that? And, if he can, is he not permitted to disclose it? The investigation is so damn corrupt already, somebody better do something about it. RUSH: You know, you may not know it, but presidents Washington, Jefferson, Lincoln, they have all ordered investigations over. They have ordered them begun. It has been common for presidents to exercise authority over DOJ. This is absurd what they’re trying to set up. RUSH: This is Ginny in Lewes, Delaware. Great to have you here. CALLER: Hello there, sir. And I thank you for taking my call. CALLER: My question today is, with all these Democratic people and the DOJ and the FBI and the CIA and NSA, you name ’em all, who all seem to be losing things and misplacing things, what assurances do we have that what they have right now they won’t happen to lose or destroy, or get rid of? RUSH: Wait a minute, now. You mean evidence against Hillary? 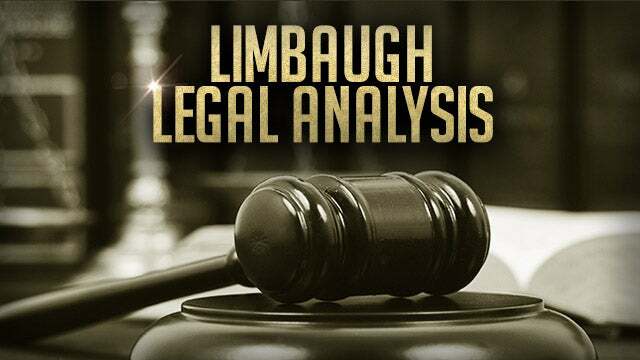 RUSH: Well, that has to be preserved by statute. That will be part of Mueller’s report. Mueller has to hold on to that. However, there is an interesting answer to your question. 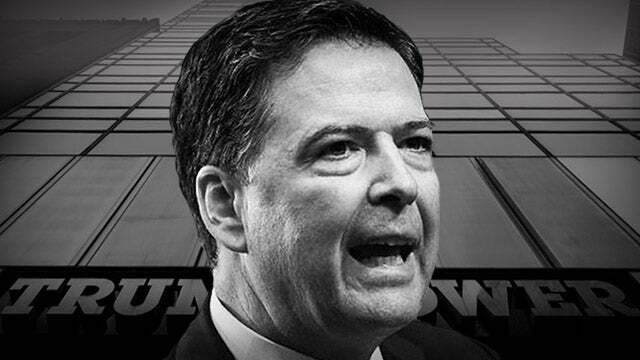 After Hillary Clinton was interviewed, a scant two days before she was cleared, she was interviewed after her exoneration letter had been written by James Comey and his staff. Remember, his press conference is on July 5th. She’s interviewed the previous Saturday. With her was Cheryl Mills and Huma Abedin. Cheryl Mills’ laptop that had all kinds of evidence on it, Ginny, was destroyed after Hillary was exonerated. So your question in that regard is quite relevant. Much of the evidence they had on Mrs. Clinton has been — well, I don’t know how much, actually, but I know that a laptop that did have evidence was returned to Cheryl Mills. Or maybe it was destroyed and not given back to her. I forget which. But I do know that the contents on it were eliminated, and some of the contents were evidence. As to the overall evidence collection, I’d have to seek a higher authority than myself to find out what is done with all that. But Mueller’s evidence, quote, unquote — since we’re not allowed to question the investigation, since we’re not allowed to do anything but bow down and salute the damn thing, if there isn’t any evidence, we’re not supposed to question that, Ginny. And you’re being a malcontent by even bringing it up. Anyway, I’ll try to get a better answer to it. It’s a decent question. David in Charleston, South Carolina. You’re next. Hello. CALLER: Hey, Rush. One question. If John Brennan with his pro-communist background is the way he is, why is he so anti-Russia, so anti the Soviets and former Soviets. CALLER: I know. Doesn’t make sense. RUSH: He’s not at all. He’s anti-Trump. The guy hates Trump! RUSH: The guy’s pro-Hillary. The guy’s pro-Russia. You’re asking this facetiously, correct? RUSH: John Brennan did vote for the Communist Party candidate way back in the — I want to say the fifties. It might have been sixties. I’m not sure. But John Brennan, as a well-known career leftist, is well known. He didn’t advance in the CIA. Obama put him there. He was in Obama’s National Security Council. Obama nominated him to run the CIA. 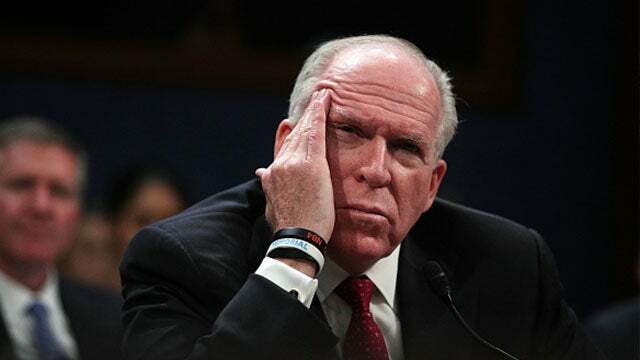 I don’t think Brennan’s career in intel was spent climbing the ladder at the CIA. When Obama nominated him for director — and I think when he was nominated he was running Obama’s National Security Council. I haven’t looked at the his complete biography, so some of this I’m reconstructing what could be a vague memory, but I don’t think he was a ladder climber at the CIA. But look. Let me remind you of something again. When word of the spy, the informant leaked out Stefan Halper, of course then his description, well, he was a dual citizen, U.K.-American citizen. He taught at Oxford, he taught at Cambridge, he taught at Harvard. He was very close with Richard Dearlove, the head honcho of MI6. And a friend of mine sent me a note, “The Brits seem thick as thieves in this. Why isn’t anybody looking at the Brits’ role in all it is?” I said, “Because it’s not a Brit role.” The thing that I see is that this deep state cabal is made up of academics. You take a look at the people at the upper echelons of all this and you’ll find Harvard and Yale and Oxford and Cambridge and maybe some other Ivy League schools, Eton in the U.K. But that’s where they all come from. 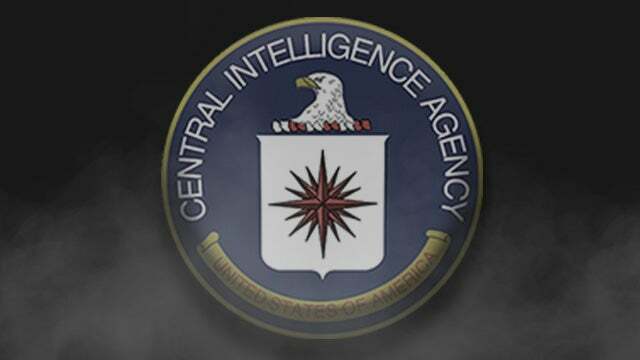 It is well known that the CIA recruits from Harvard and Yale. The agents struck up friendships with the professors, professors keep eyes on students, make recommendations. Not all. But the recruitment of agents for intelligence agencies is thick in the Ivy League. And the Ivy League, universities in general is where the Soviet Union, Soviet communism has had so much success at infiltrating that part of America, the education system. So if you look at the people involved here, Mifsud, Stefan Halper, Dearlove, people on our side, they all have backgrounds rooted in academia. Academics are notoriously leftist, and so it’s not strange that there would be communists in the CIA. It does seem counterintuitive, but it isn’t. The CIA’s got all kinds of — the FBI as well. I think the notion — and I used to have it too. I used to believe that everybody in the American bureaucracy was a red-blooded, red, white, and blue patriot. I don’t know how long ago I learned that, but shortly when I got to adulthood I figured out that’s not true. Look at the Obama State Department was doing everything it could to undermine this country in favor of militant Islamists after 9/11! We think that all of these bureaucracies are led by red, white, and blue patriots, but there’s all kinds of people in these esteemed bureaucracies and agencies that think the United States is the problem in the world. RUSH: Okay. Let’s head back to the phones. We have Brandon in New York. He’s celebrating Fleet Week in New York. It’s great to have you on the program, Brandon. Hi. CALLER: Mega dittos, Rush, and greetings from Fleet Week in New York City. CALLER: All right. Well, Rush, I had a question. If the FBI is truthful and they were protecting Donald Trump, wouldn’t it be logical to notify Trump that they were there so that Trump could grant every courtesy to the FBI and possibly aid their investigation? RUSH: Yeah. Exactly. That’s a brilliant point. I’m glad you called before Fleet Week really got going, ’cause who knows what later on…? (chuckling) Oh, they have a great time during Fleet Week. Fleet Week in Manhattan is awesome. They get to come off the ships and… Yeah. Anyway, Brandon, that is exactly the point. Two things about this. Well, there’s actually three, but I’m not gonna repeat one of them. So the FBI says they’re triggered by Carter Page and Manafort being hired. And they’re worried they’ve got ties to the Russians. You would think they’d go warn Trump. You’d think they’d try to tip him off. “Look. You might want to rethink this. These people, we’ve been keeping an eye on ’em. They have ties to the Russians in ways that may not help.” They didn’t do that. They didn’t try to help Trump. They weren’t trying to warn him and they weren’t trying to protect him. They wanted the collusion to happen. And they wanted to catch it while it was happening. That’s why informants were in there. There were no attempts to protect the Hillary campaign from these Russians. Only Trump. They wanted there to be collusion — and when they didn’t spot any, they tried to create some, is the only way to describe this. If there really had been, why not arrest Trump or these people and get ’em out of that campaign if they really have trouble?